Natural stem cell hair recovery. 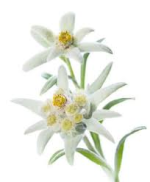 The Eucaderm natural stem cell hair recovery programme is derived from the mountain flower Edelweiss, a stem cell powerhouse. This non-surgical and natural therapy is used to stimulate and regrow hair follicles. Stem cells that are present in the middle of the follicle ensure the continuous supply of cells. It is very efficient, and you can see very positive results within a short space of time. This is the beginning of a very exciting time for people experiencing Hair Loss. The research is leading to new ways that could promote hair growth for people with baldness or alopecia, hair loss or hair thinning associated with such factors as hormonal imbalance, stress, ageing or chemotherapy treatment. What Is Stem Cell Hair Loss Recovery Treatment And How Is It Done? This treatment is very efficient. It is a non-surgical and simple therapy to stimulate and regrow hair follicles. The treatment is a weekly process and will continue for ten weeks. In our clinic, some people have seen tremendous improvement in hair growth. As with all treatments, some people will respond more quickly than others. Everyone is unique, and some people will find their hair grows at a quicker or slower rate. As a general rule providing there are live hair follicles present in the scalp, then this stem cell treatment will produce new hair growth. All products can be ordered directly from us!